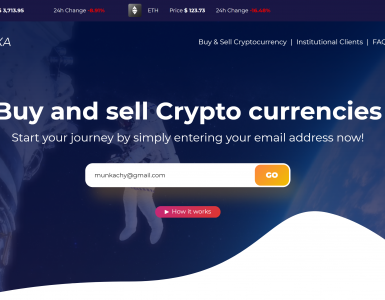 Not a formal cryptocurrency exchange, Cryptopay provides a variety of cryptocurrency services for a primarily European customer base. The company was best known for its bitcoin-backed prepaid debit cards, but had to suspend that part of its business earlier this year. Still, the rest of the company’s services are worth considering. Cryptopay provides a centralized digital wallet that users can fund with euros, pounds or dollars. Users can buy bitcoin, ripple or litecoin and then shift balances between all of the supported fiat and cryptocurrencies. Crypto also provides the crypto-to-fiat processing other companies need in order to accept crypto payments. This Cryptopay review will help you figure out how to integrate Cryptopay’s many services into your day-to-day crypto finances. 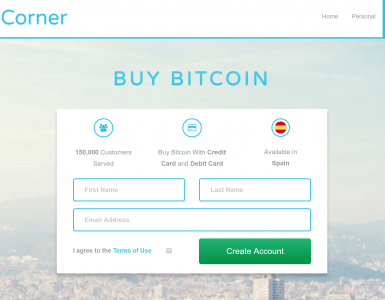 Wallet supports bitcoin, litecoin, ripple and (soon) ether. Supports debit card purchases of crypto. Dollar/pound withdrawals must convert to euros first. 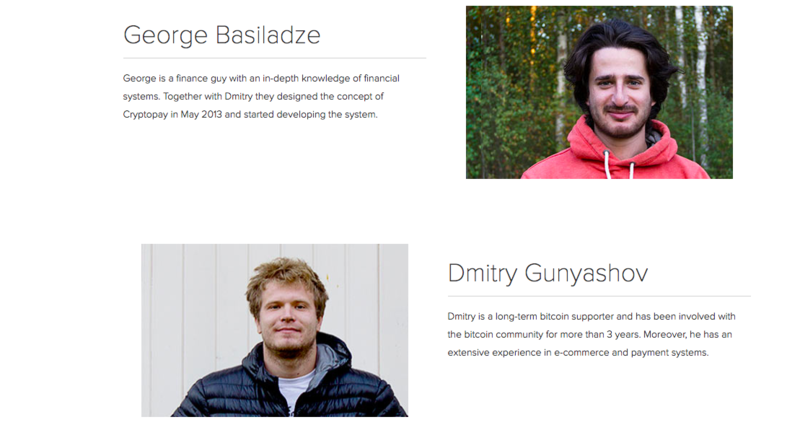 London-based Cryptopay was founded in 2013 by George Basiladze and Dmitry Gunyashov. The company began as a digital wallet, bitcoin ATM network and bitcoin payment processor to help connect the fiat world with the bitcoin world. Cryptopay now claims to be “one of the most popular and established digital currency service providers in Europe.” The numbers it cites may bear that out, with more than 900,000 active users generating nearly 32,000 transactions each month. In addition, the company has issued more than 121,000 prepaid cards. Cryptopay had no trouble raising €15 million, although that was significantly less than the €50 million they had hoped for. People who were able to buy the company’s token, CPAY, share in a distribution of 10% of Cryptopay’s monthly revenue. The new year started out rough for Cryptopay when it had to shut down its prepaid card program. WaveCrest, the company that processed Cryptopay’s cars — and most other crypto cards — ran afoul of Visa and Mastercard’s rules. The networks banned WaveCrest, which meant Cryptopay’s cards stopped working. Customers who had balances on their prepaid card were able to recover their money. The technology integration is complete, which means all Cryptopay needs is approval from one of the card issuers. Once the credit card problem has been solved, Cryptopay’s next big development project will be the creation of a Bitcoin Brokerage. In an interview on the company’s blog, Basiladze explained that the brokerage will let people use bitcoin to buy stocks. Cryptopay is working through all of the legal issues. The company has enlisted Shane Leonard, CEO of Stockflare and former director of equity capital markets at CitiGroup, to develop a trading engine. Cryptopay’s co-founders still run the company, but have expanded its leadership ranks over the past five years. Dmitry Gunyashov, founder and chief executive officer: Gunyashov got his start developing systems in Russia’s e-commerce industry. After a brief stint at a British software startup, he joined Basiladze to start Cryptopay. George Basiladze, founder and chief business development officer: Basiladze rose up through the ranks in Russia’s financial industry before going independent as a consultant for blockchain companies. Alexey Sidorov, chief financial officer: Sidorov left a sixteen-year career at Big4 accounting firm Pricewaterhouse Cooper to become Cryptopay’s CFO. Pavel Makarenko, chief technology officer: Makarenko had more than fifteen years experience leading development teams before joining Cryptopay as CTO. In late 2017, Cryptopay announced the creation of an advisory board that enlisted the help of experts in blockchain, the fiat economy and cryptography. Adriaan Brink: Bring founded the first online gambling site in 1995 and has been an entrepreneur in that industry ever since. Marc Kenigsberg: Building a career in the European gambling industry, Kenigsberg has been involved in bitcoin since 2013 and founded Bitchaser. Jon Matonis: An economist and independent director for companies in the crypto and gaming sectors, Matonis was a founding director of the Bitcoin Foundation. Christian Papathanasiou: An expert in developing security systems for the financial industry, Papathanasiou has extensive experience working with regulators around the world. George Piskov: Piskov has a doctorate in economics and was one of the founders of the money transfer network Unistream. Artem Tolkachev: A lawyer with a background in Fintech, Tolkachev is now in charge of legal services for Deloitte’s technology projects. “[The] initial investments were quite small and the company started gaining money to support its everyday business operations very early,” CFO Sidorov explained on the company blog. Other than an early funding round with Seedcoin, most of Cryptopay’s growth has been organic. Last year’s ICO stepped things up a notch. The €15 million it raised will fund the company’s aggressive growth plans. Although much of its operations are based in Saint Petersburg, Russia, Cryptopay is registered in England and complies with British anti-money-laundering (AML) and know-your-customer (KYC) regulations. The progression of Cryptopay’s listings from bitcoin to litecoin, ripple and soon ether is clearly based on volume and those coins’ roles in the overall industry. However, Cryptopay has not explained how it decides to list cryptocurrencies. Cryptopay also lets its customers use 2-Factor Authorization (2FA) to secure their accounts. Using 2FA requires the Authy or Google Authenticator mobile apps. SMS-based authentication is not possible. 2FA only applies when you log into your account and cannot be set for withdrawals or other specific transactions. A knowledge base and ticket-based support system are Cryptopay’s primary vehicles for delivering customer support. Much of Cryptopay’s recognition came from its prepaid card business. However, the overall experience Cryptopay provided earned its customers’ loyalty. Even after the prepaid cards stopped working, people stayed with Cryptopay. If you read through the company’s monthly financial reports, you’ll see that transaction volumes did not change much. Cryptopay accepts customers from 119 countries. The biggest exception, of course, is the United States where fragmented regulatory systems make it too difficult for crypto businesses to operate. Cryptopay cannot serve citizens or residents of the United States, its possessions or territories. 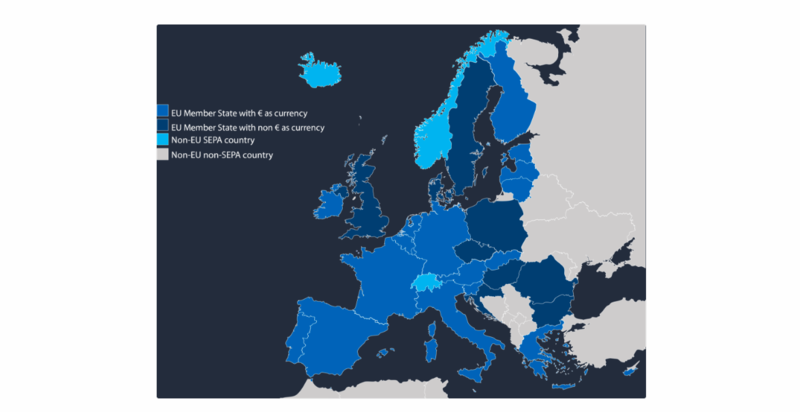 Although Cryptopay serves a global customer base, the company is most popular in the European Union where the companies services are most flexible. Fiat deposits and withdrawals, for example, are only available through the SEPA bank transfer system. In addition, those transactions must be in euros. Any US dollar or British pound balances in your Cryptopay account that you wish to withdraw must first be converted to euros. Cryptopay is working on features for Russia, including a ruble-based prepaid card. Corporate customers must be resident in, or be incorporated in, the European Union or the European Economic Area. Anybody can join Cryptopay without going through the verification process. However, unverified users cannot make fiat deposits, fiat withdrawals or purchase cryptocurrency with a debit card. The verification process for individual users requires three scanned documents: a government-issued photo ID, a proof of residency and a selfie holding the government ID. Note that all documents must have Latin characters. Applicants whose language uses non-Latin alphabets must have their documents translated into English by a certified translation service. Except during peak periods, Cryptopay’s verification process typically takes a few business days to complete. Bank statement from the last 3 months. Extract from the share register. In addition, the company must complete a KYC questionnaire and may be asked to provide an organization chart. All of these documents must be printed in English or accompanied by an English translation sealed and signed by a certified translator. But that isn’t all the company must provide. Cryptopay requires identity and proof of residency documents for the company’s “significant people”. This included directors and shareholders who control more than 25% of the company. Cryptopay provides a centralized, custodial wallet for your fiat and crypto balances. The balances for each currency appear in “accounts” within the wallet interface. Should you need to manage your balances in more detail, you can create multiple accounts for a given currency. The wallet lets you keep fiat balances in British pounds, euros and US dollars. Only verified users can deposit fiat funds into their Cryptopay account. Even then, direct deposits are only possible in euros through the SEPA bank transfer system. 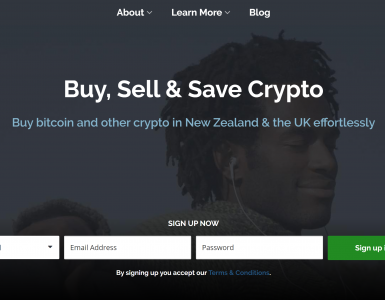 You cannot deposit British pounds or US dollars directly into a Cryptopay account. Instead, you must use a bank-issued debit card to purchase bitcoin or litecoin. Withdrawals are also euro-only and must be at at least €10 and no more than €1,000 per day. As is typical for SEPA transfers, it may take one or two business days for the funds to appear in your bank account. Cryptopay charges a €0.09 fee for all euro withdrawals made through SEPA. Withdrawals of British pounds and US dollars will be converted to euros before going through SEPA transfer to a European bank. Note that the pound or dollar amount will be converted to euros at Cryptopay’s exchange rate. An additional 1% fee will apply. Customers who link their British bank accounts will incur a double exchange rate hit. First, when Cryptopay converts the British pound balance into euros. And second, when the bank converts those transferred euros to pounds. Whether verified or not, any Cryptopay user can deposit bitcoin, litecoin or ripple into their Cryptopay wallet. Support for ether is “around the corner”. Each bitcoin and litecoin account has an address on the respective blockchain that is unique to each user. Bitcoin accounts give even more control over balances by letting you create additional bitcoin addresses. The litecoin accounts only support a single address. Cryptopay charges a set fee to cover network fees on all cryptocurrency withdrawals. These fees go to the miners processing transactions to the bitcoin and litecoin blockchains. At the moment, Cryptopay sets the fees at the high end of the range to ensure a speedy transfer. The company is developing a user-controllable option to lower fees at the expense of slower transaction times. Cryptopay lets you move balances between all five supported currencies. Whichever direction you are moving your balances, keep in mind that Cryptopay charges a 1% transaction fee. Businesses that want to accept bitcoin or litecoin can use Cryptopay’s API to link their websites to a Cryptopay account. Cryptopay will automatically convert the customer’s crypto payment into the business’ preferred fiat currency. This minimizes the business’ exposure to market volatility. The Cryptopay mobile apps for iOS and Android let you manage your wallet, move funds between accounts and initiate deposits or withdrawals. The apps also handle the verification process, letting you scan documents and take selfies in the format Cryptopay needs. Both apps will let you restrict access with the phone’s fingerprint reader. The iOS app, however, is more full-featured. You can also add your Cryptopay virtual or physical prepaid card to the iOS wallet to enable tap-to-pay purchases. The app has a 4.6-star rating in the iOS app store. The Android app launched in late 2017, a few months after the iOS app. Before that, Android users had to use their mobile browsers to manage their accounts. The app has a 4.2-star rating on the Google Play app store. The vast majority of the reviews give the app 5 stars. There are two aspects of your Cryptopay account that you can’t manage from either app. You can only activate 2FA from the service’s website. Linking a bank account also requires a web browser. Although Cryptopay had to suspend its prepaid card business in the wake of the WaveCrest collapse, the policies and procedures of its new service are available for anyone to read. As mentioned earlier, Cryptopay has all of the technologies and systems in place to restore their service. Since all it takes is for one card issuer to come around, Cryptopay prepaid cards may be available by the time you read this review. You must decide at the time of application which fiat currency your prepaid card will support — British pounds, euros or US dollars. The card will only link to a bitcoin account in your Cryptopay wallet. The prepaid card works by maintaining a balance of your chosen fiat currency. You can top-up the balance manually by converting your bitcoins into fiat and then transferring the amount to your card. Cryptopay does not automatically convert from bitcoin to fiat at the time of purchase. Neither does it automatically top-up your card when the balance drops below a certain level. Cryptopay charges a 1% “loading fee” to top up your balance. If you use a third-party to load your card, Cryptopay will charge you 1.99%. The Cryptopay prepaid card, virtual or plastic, works just like any other prepaid card for online purchases. All you have to do is enter the card number and security code. Your purchase will be deducted from the card’s balance. If you make a purchase while traveling internationally, Cryptopay will charge 3% on top of the exchange rate. The plastic cards also let you withdraw cash from any ATM. The fees for this service vary by fiat and whether you are in your home country or traveling abroad. The euro card’s ATM withdrawal fees, for example, are €2.25 at home and €2.75 internationally. Cryptopay’s pricing structure for cards was very… symmetrical. Ordering a plastic card cost €15, £15 or $15 and ordering a virtual card cost €2.50, £2.50 or $2.50. The Cryptopay website says it always has plastic cards in stock so they can ship once your order completes. Of course that won’t be the case until they can restart the prepaid card business. But the policy will probably continue. The plastic cards ordinarily took several weeks to arrive through standard shipping. If you chose DHL Express delivery, then the card arrived within 3-10 business days. However, express delivery came with a steep price tag: €70, £70 or $70 depending on the card. Cryptopay charges a monthly service fee of €1, £1 or $1 depending on the card. The cards also have a number of transaction limits that vary based on verification status. For example, the cards impose single ATM amount limits, daily ATM amount limits and daily limits to the number of ATM transactions. More specifically, an unverified user can withdraw €200 in a single ATM transaction while a verified user can withdraw €1,000 at a time. Also, unverified customers have lifetime limits on the amount they can put on the card or spend from the card. Cryptopay’s digital currency services give Europeans an easy way to integrate their cryptocurrency holdings into their everyday finances. British crypto enthusiasts will get hit with two currency exchanges for each withdrawal, which may give them pause. The only missing piece, restoring Cryptopay’s prepaid card business, is still some months away. Once Cryptopay’s leadership can convince credit card processors that not every bitcoin company is a scam, they should be back in business in Europe.